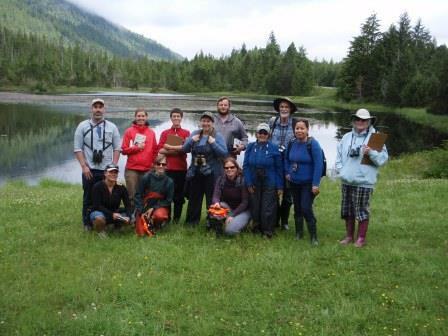 We had a terrific weekend training new Wetlandkeepers in Prince Rupert. Folks came all the way from Terrace to take this estuary-oriented course, which was funded through the BC Wildlife Federation. Participants completed transect surveys, bird surveys, vegetation surveys and learned about wetland identification and management. We were fortunate to have Mike Ambach from the World Wildlife Federation speak to us about local estuarine and marine wetland issues.